All LAS VERDES VIBURNUM VILLA homes currently listed for sale in Delray Beach as of 04/21/2019 are shown below. You can change the search criteria at any time by pressing the 'Change Search' button below. 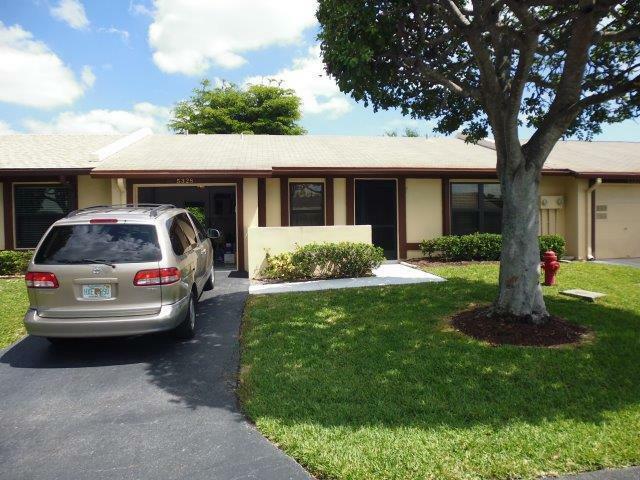 "The Perfect 55+ move in ready villa in a safe guard gated community with a private back yard and just steps to pool.New Stainless refrig with water/ice, washer, glasstop stove, dw, disposal. AC 2012. W/H 2006. New garage door motor. Roof 2005. Hurricane Impact windows, 5 fans. Roofed Lanai with roll down shutters. Furnished beautifully. Las Verdes is a 24 hr guard gated community in the heart of Delray Beach with clubhouse, activities, 3 pools with outdoor jacuzzis, tennis, Zumba classes, exercise room, library, crafts, billiards, basketball, handball, bacci, pickle ball, shuffleboard & more. Central lake is lit up at night with fountain & 1/2 mile walking trail with benches. Also is 1 mile sidewalk around drive circle. 10 minutes to the beach. All your needs are fulfilled w/i 1 m"